Inspired by luxury hotels, this urban oasis personifies an upscale, resort environment while exuding fun and entertainment. 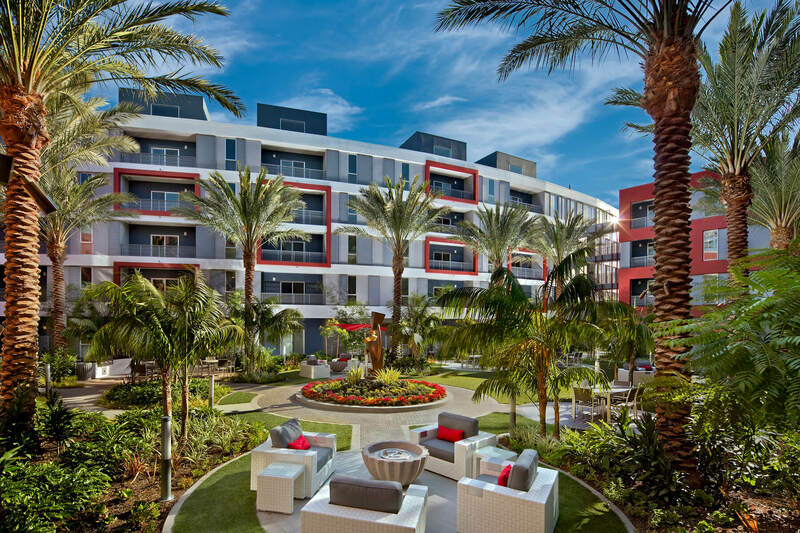 The high-end community appeals to everyone from millennials to empty-nesters by combining sleek, contemporary architecture with an emphasis on recreational activities and lavish amenities. 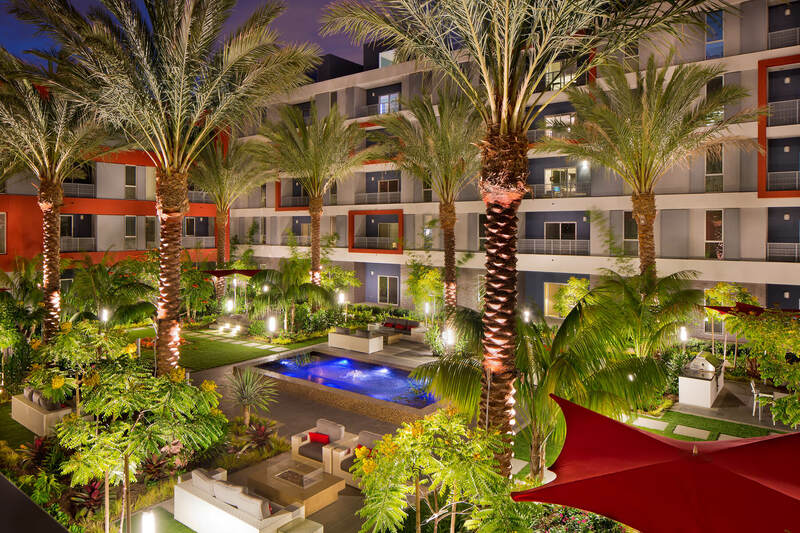 Two courtyard parks feature comfortable lounge seating around fire pits, BBQs, picnic and entertainment areas. A serene koi pond, lush landscaping and meandering pathways round out the design. 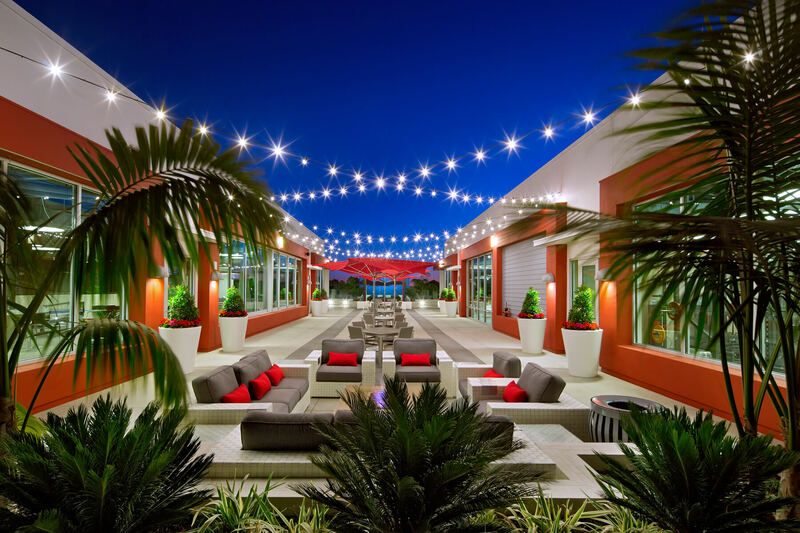 The rooftop, with panoramic views, is home to a resort-style saltwater pool and spa with private cabanas, an outdoor sports bar, outdoor movie screen, a 2-lane bowling alley, massage spa, and clubhouse with fitness facility. 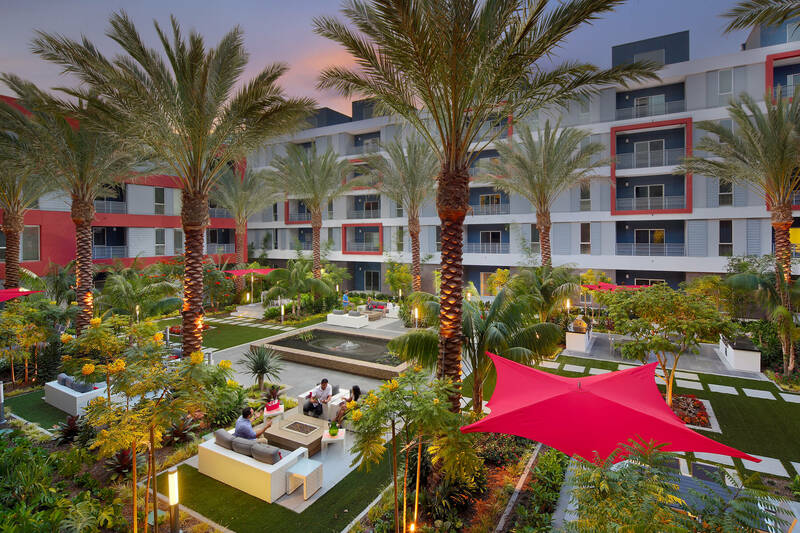 At The Marke, we created beautiful outdoor spaces that don’t just look good, they generate a vibrant energy in a posh playground, offering everything residents need in one location.